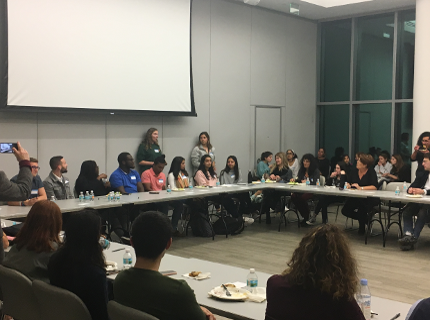 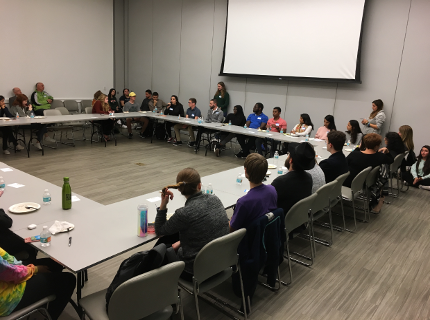 On Tuesday, January 29th, over 70 students, faculty, staff, and chaplains from UM and the community gathered on the 3rd floor of the Shalala Center for an event called Getting to Know U. 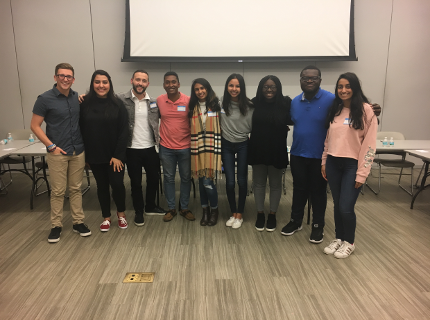 The event was emceed by Interfaith Engagement interns Gabriela Aklepi and Olivia Wigon, and featured student speakers from the Baptist, Catholic, Charismatic/Pentecostal, Episcopalian, Hindu, Jewish, Muslim, and Sikh faith traditions. 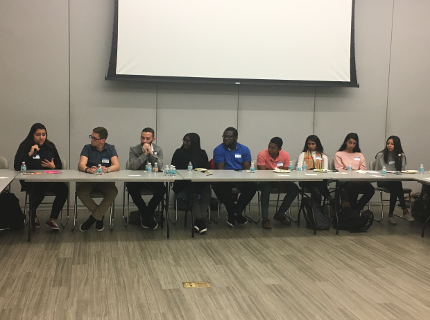 The student speakers each discussed what they like most about their faith tradition, and what they think people misunderstand most about their faith tradition. 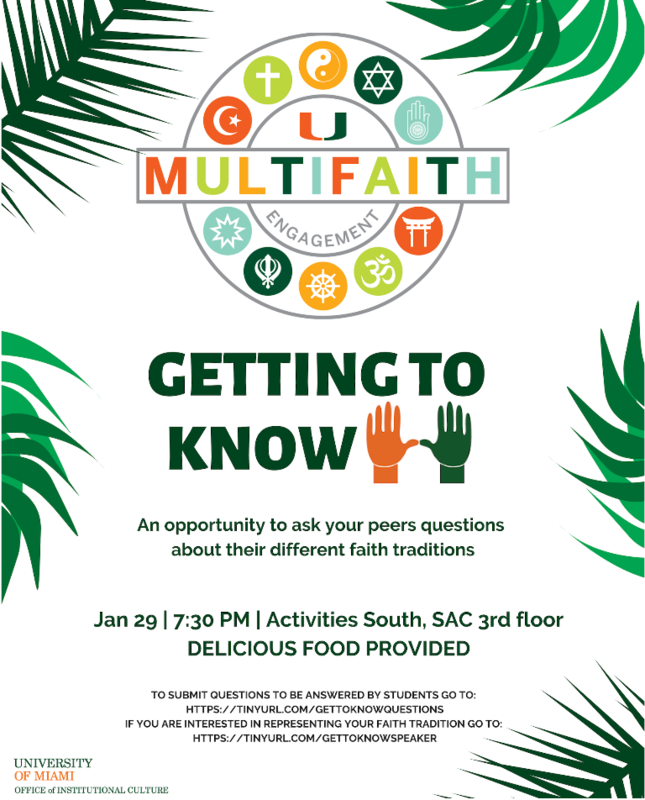 The event was sponsored by the UM Chaplains Association, UM Interfaith Council, and the Office of Institutional Culture, with support from a grant from the Interfaith Youth Core.